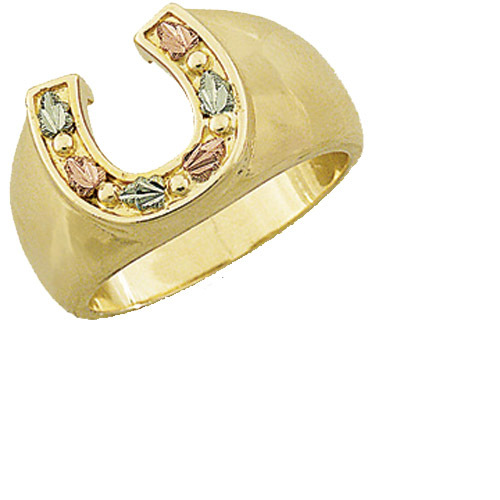 Desc: Landstrom's Black Hills Gold grape and leaf horseshoe ring. The grape and leaf pattern is mounted along the inside of the horseshoe. The horseshoe is at the apex of the ring. The ring has a textured finish.